Hayden S. Wool is a Partner/Director of Garfunkel Wild, P.C., which he joined in 1992. 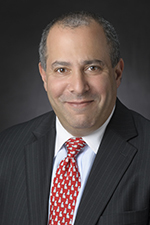 He is a member of the firm’s Health Care, E-Health and Telemedicine, Business and Compliance and White Collar Defense Practice Groups, which advise clients on a variety of business, regulatory and transactional issues. Mr. Wool’s practice includes the structuring of hospital physician relationships, physician group relationships, review of the structure of business transactions as to compliance with Federal and State regulatory matters, as well as issues regarding proper reimbursement for healthcare activities. Mr. Wool has particular expertise in the application of the Federal and State self-referral (Stark) laws, Anti-Kickback laws, Fee-splitting laws and Professional Misconduct laws, as well as the related rules and regulations. Mr. Wool has written articles and lectured on these and other areas involving contract review. He is a member of the American Bar Association, the New York State Bar Association, the Nassau County Bar Association, the American Health Lawyers Association and the Healthcare Financial Management Association. Mr. Wool received his B.S. in healthcare administration and management, with honors, from Alfred University in 1982 and his J.D., with honors, from Albany Law School of Union University in 1985. Co-author, An Uncertain Future: Examining Two Proposals for Health Care Reform, AHLA Connections, March 2017. Co-author, Chapter 1 of the LUGPA Practice Management Playbook, entitled Legal and Economic Issues in Forming a Group Practice, 2017. Co-authored chapter of Legal Manual for New York Physicians (Third Edition), entitled Fraud and Abuse.